Singer 2273 would be a great beginners machine once you get the bobbin issue out of the way. Otherwise it will frustrate you. CLICK HERE to read what other buyers say about Singer 2273. 2273 is a mechanical sewing machine from Singer. It isn’t as popular as other Singer beginner machines. This is a no fuss machine with a very simple design. It looks beautiful, but does the beauty convert into performance ? It is a different question, only a closer look will reveal it. 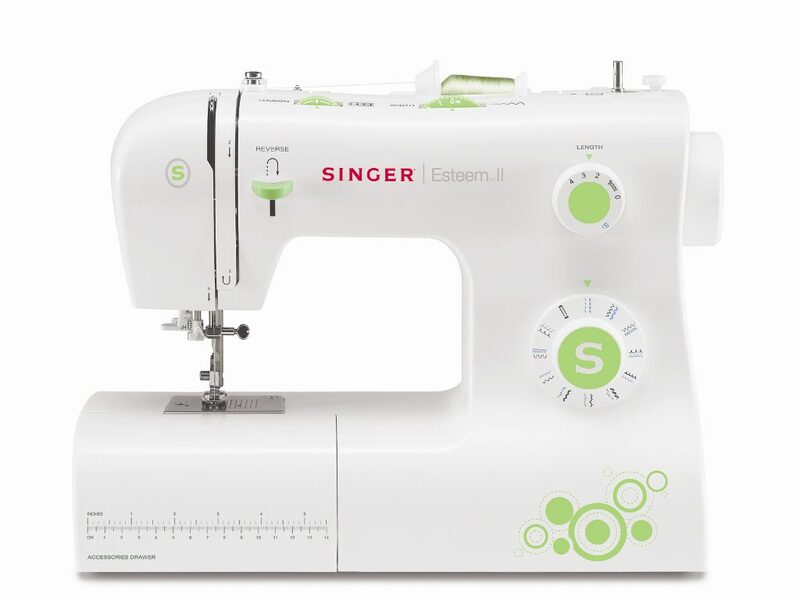 Singer 2273 comes with 23 built-in stitches including 6 Basic Stitches, 11 Decorative Stitches, 5 Stretch Stitches and a 1-step buttonhole. Stitch selection is done by turning the dial. Another dial is provided for adjusting the stitch length. Stitch width can be set to a maximum of 5mm, which can be adjusted using the dial provided on top of the machine. There is an accessory compartment for storage. Singer 2273 comes with a front-loading bobbin, which means you will have to remove the accessory compartment to change the bobbin. This sure is an inconvenience for novice sewers. 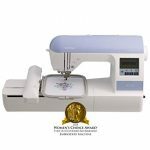 The machine can be used for free arm sewing by removing the accessory storage compartment. The automatic needle threader lets you thread the needle without frustration. 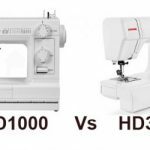 Automatic tension ensures consistent stitch quality over a variety of fabrics. Singer 2273 comes with a screw-driver free snap-on presser feet. The heavy duty metal frame inside provides stability to the machine. Reverse and reinforce stitching is a breeze, as you just need to push and hold the reverse stitching lever. The machine is twin needle capable. Extra high presser foot lift is provided for extra clearance while sewing multiple layers of fabrics. Singer 2273 comes with Automatic Presser Foot Pressure Control, no more presser foot pressure adjustments are required. Singer 2273 is a quiet machine, it doesn’t shake the table when in operation. The user manual is not that great to get started, but still you can figure it out yourself as it is a pretty no nonsense kind of a machine. It is not an ideal machine for thick fabrics, but it works well on medium-lightweight fabrics. The automatic needle threader is not that great. It doesn’t seem to work all the time. A lot of complaints have been there about bobbin jamming. Since it is a front loading bobbin, the problem looks even worse. In most cases the issue seems to be because of operator error. You need to take extra care while threading this machine, it is very picky. You have to strictly follow the user manual while threading. I have mixed feelings about Singer 2273. A lot of people have been complaining about the bobbin issue. In some cases it is operator error, but still the volume of complaints makes me skeptical. If you can get the bobbin part right in the first place, Singer 2273 will be great fun, otherwise it will turn into a nightmare. 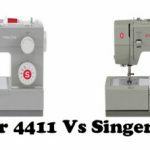 The best alternative I can suggest it the Singer 4423. It has similar features. In fact it has some features in extra, like the drop-in bobbin and heavy duty construction. The drop-in bobbin is a huge relief as it was the the main issue with 2273. 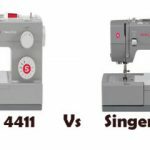 Singer 4423 is also the best inexpensive heavy-duty sewing machine you can get in U.S. It is similarly priced as well. Or you can have a look at Brother XL2600I which has similar features and is very inexpensive when compared to Singer machines. 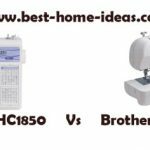 Brother XL2600I is the King of low cost sewing machines.